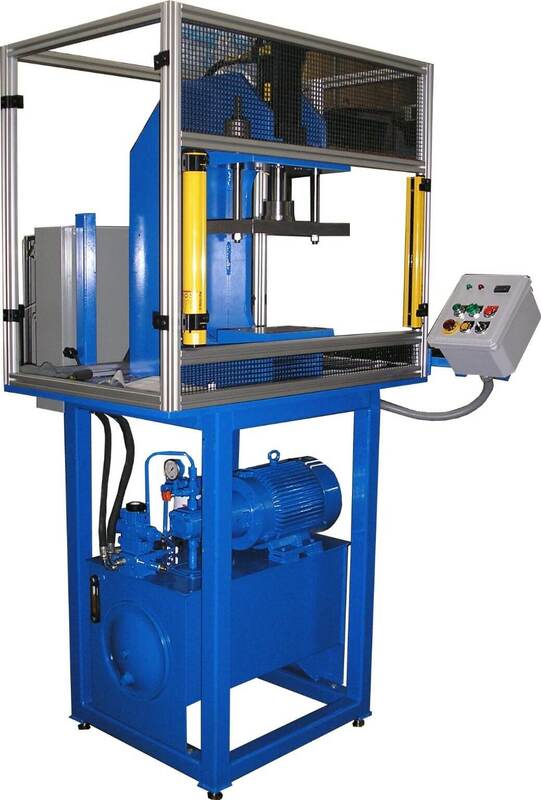 Air & Hydraulic Equipment specializes in the manufacturing and engineering of Industrial Pressing. 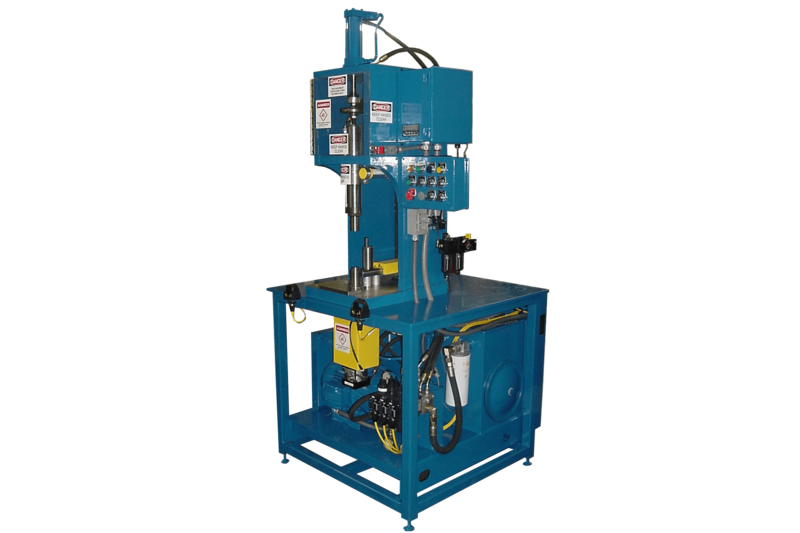 We specialize in hydraulic, pneumatic, and air-oil operated pressing. 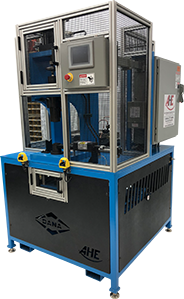 Machine design can range from simple pneumatic controls to complete automation of the total process. 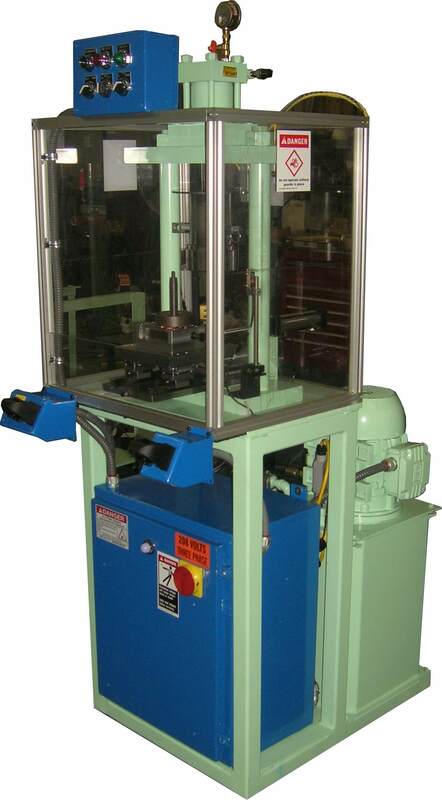 Thurston style hydraulic c-frame press. Commonly used for driveline assembly. Dual station press with transfer platen. Assembly is pressed then transferred to a torque station. 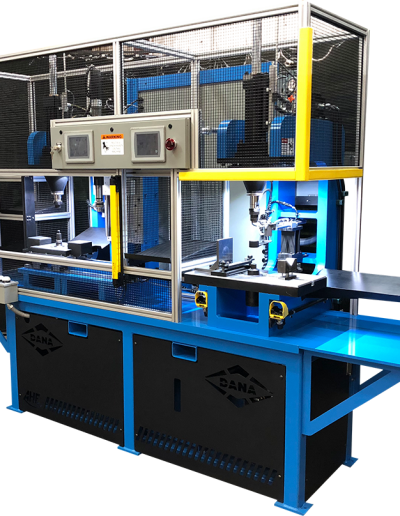 Isometric view of our modern press with HMI and safety guarding. 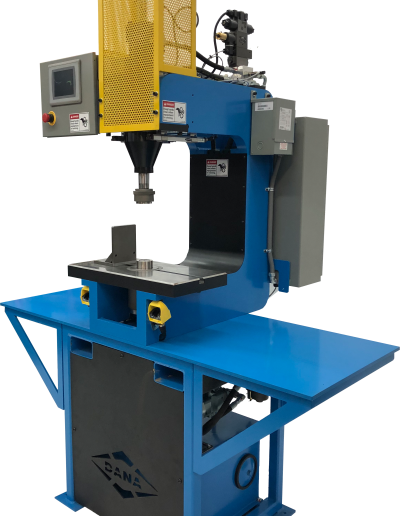 5 Ton hydraulic press with platens for tooling expansion. 5 ton dual stage press with transfer rails. 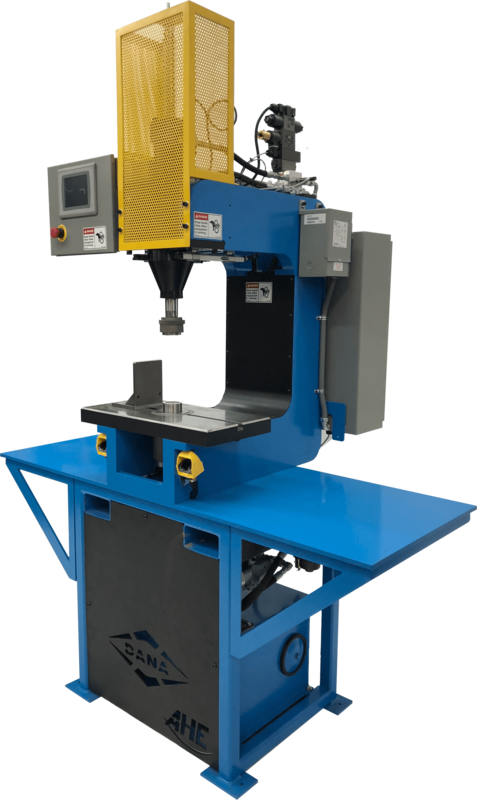 We’re the source for driveline component presses. 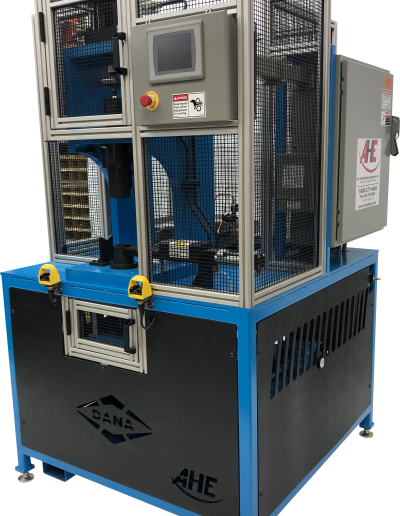 Decades ago Air and Hydraulic pioneered the Stunley and Nunley u-joint presses, which are still widely used in automotive and commercial driveline assembly today. Our newest press is a rendition of the common Thurston press. Click images or link below for individualized information. The Stunnley Press is a double joint build press. Bearing caps are pressed simoultaneously from the top or bottom. A feeder bowl or magazine loads c-clips to the bottom joint while the operator loads the top clip for pressing. The Nunnley press is known for it’s integrity and repeatability. 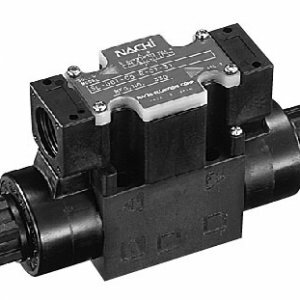 The part is held with pressure from the top while a snap ring is fed concentric with the bearing cap and both the lower cap and ring are pressed together in union. 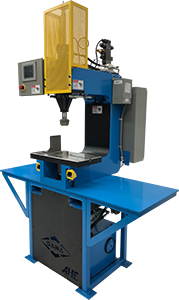 The Thurston Press is our most popular model of joint build presses. 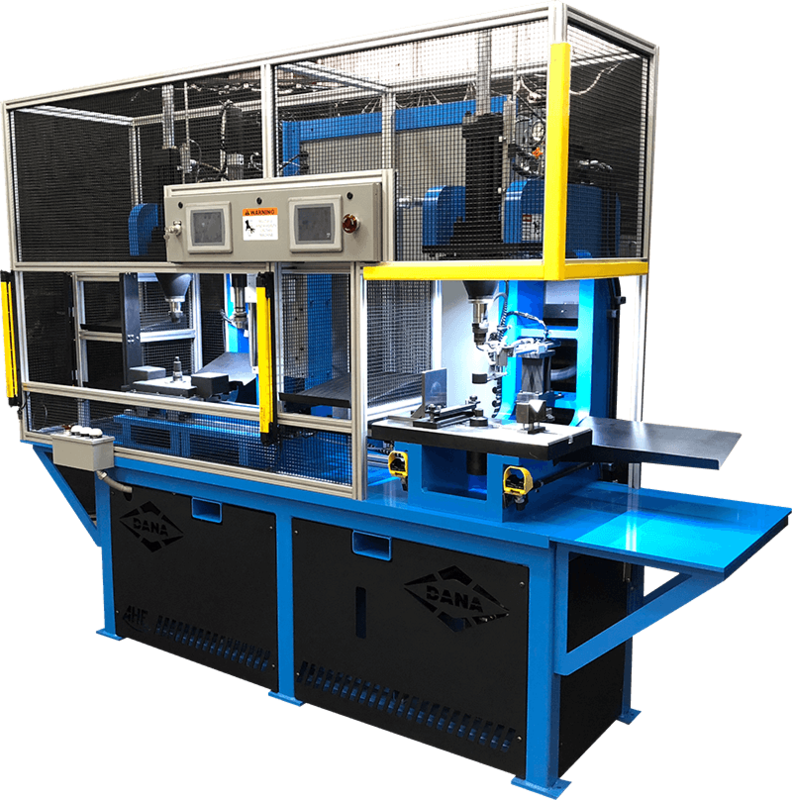 The press has the ability to run multiple joint configurations simply by changing two pieces of tooling. 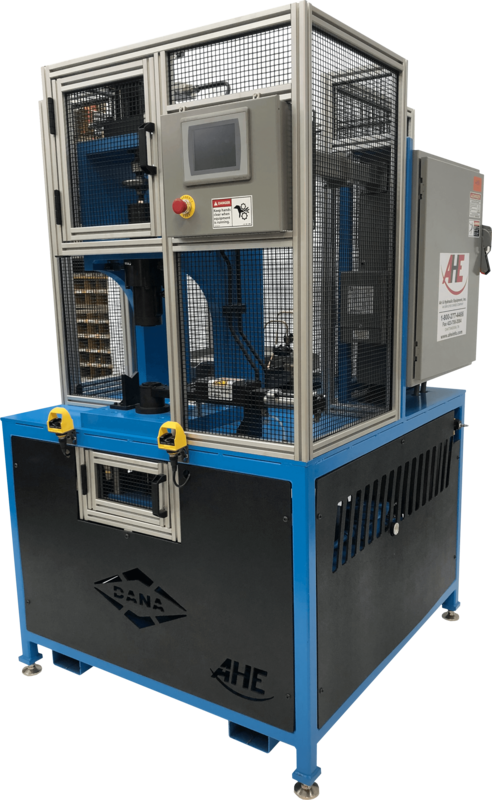 Modern improvements include touch screen HMI controls and auto-joint relieving.